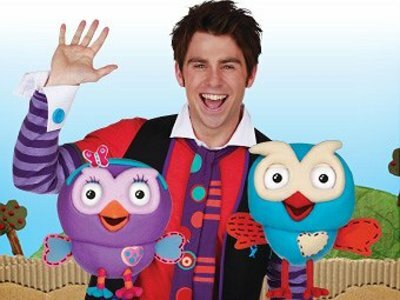 Do your children watch Giggle and Hoot? Jimmy Giggle and Hoot are a best-friend duo that love to sing, dance, and play around. Hootabelle often joins in the fun. Yes. ABC 2 and 3 are the only channels my kids watch, which avoids them seeing ads and unsuitable shows. My eldest is starting to outgrow it but my youngest loves it and has Jimmy Giggle pyjamas. LOL -I have not heard of it and I think my children are a bit old to watch it!!! My son loves Giggle and Hoot. And, thanks to his father, he has all the dolls and a pair of Jimmy pyjamas. Also, we took him to the G&H Christmas concert in 2015 - it was a hoot! No, I’d never heard of the show, & my kids are 43 (doesn’t have a T.V. in her house with our 2 little grandchildren) & the other daughter is 39, & I don’t think she’s watches it either. The Bachelor AU: Have Amber's tantrums been justified?